There are acceptable ways to deal with your creditors before and after liquidation. It is worth remembering that most trade creditors will have experienced a debtor entering liquidation at some stage in the past. Creditors will never be happy about that situation but are usually accepting that occasionally a company will fall on hard times and enter liquidation. So creditors will be grudgingly accepting of losses but they will hate to be “ripped off”. Also bear in mind that in many cases you will want to remain in the same industry and so dealing with creditors, where possible, in an open and transparent way, will be for the greater good. The most relevant section of the Corporations Law is the Insolvent Trading provisions. In brief, if you suspect that your company is insolvent and you incur a new debt after that date, then you can be personally liable for that debt. So there is an easy principle to apply – if you suspect insolvency don’t incur a new debt unless you are able to pay it. We will usually recommend to a director that if they suspect insolvency, then it is best to voluntarily moved to a COD (Cash on Delivery) basis. Once you have appointed a liquidator a new set of principles will apply. Shortly after the appointment of the liquidator, the liquidator will write to all creditors of the company and inform the creditors of the situation. Therefore once you have appointed a liquidator the responsibility of dealing with creditors is lifted from your shoulders. The above principle applies in general but not in a situation where you have provided a Personal Guarantee to a creditor. 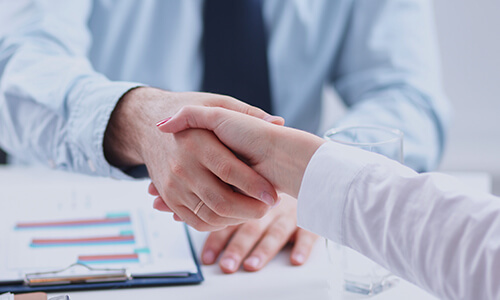 If you have signed a Personal Guarantee in favour of a creditor then they are legally entitled to pursue you personally for the recovery of the company’s debt. That is, a liquidator cannot lift the burden from you of amounts you may owe under Personal Guarantees.